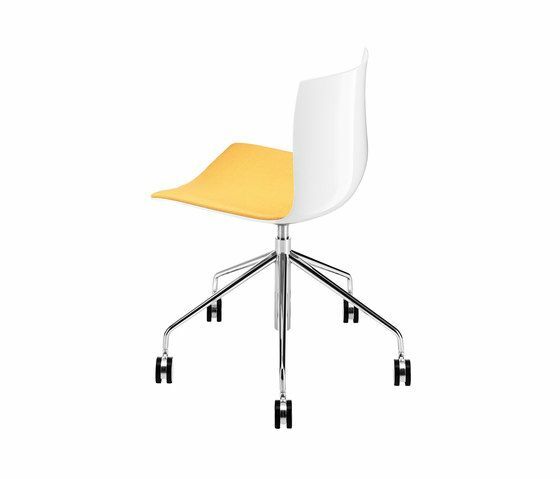 Chair with chromed steel five-star swivel trestle base, mounted on castors and fitted with gas height adjustment mechanism. Polypropylene shell with cushion upholstered in leather, faux leather, fabric or customer’s fabric applied to the seat surface. Available polypropylene and steel armrests, also upholstered.